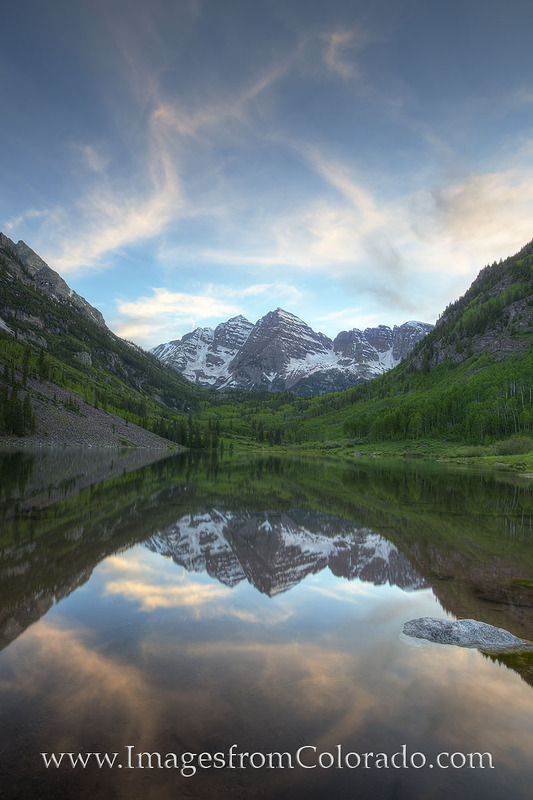 On a summer evening at the edge of Maroon Lake near Aspen and Snowmass, Colorado, the Maroon Bells rise into the edge of night. These two 14ers are arguably the most photographed location in Colorado. With scenes like this, it is easy to see why. Photo © copyright by Rob Greebon.